The San Francisco Bay Area is renowned as the world capital for software development and as the birthplace of the semiconductor industry. But did you know that the SF Bay Area is also becoming a hub for exoskeleton and exosuit development? 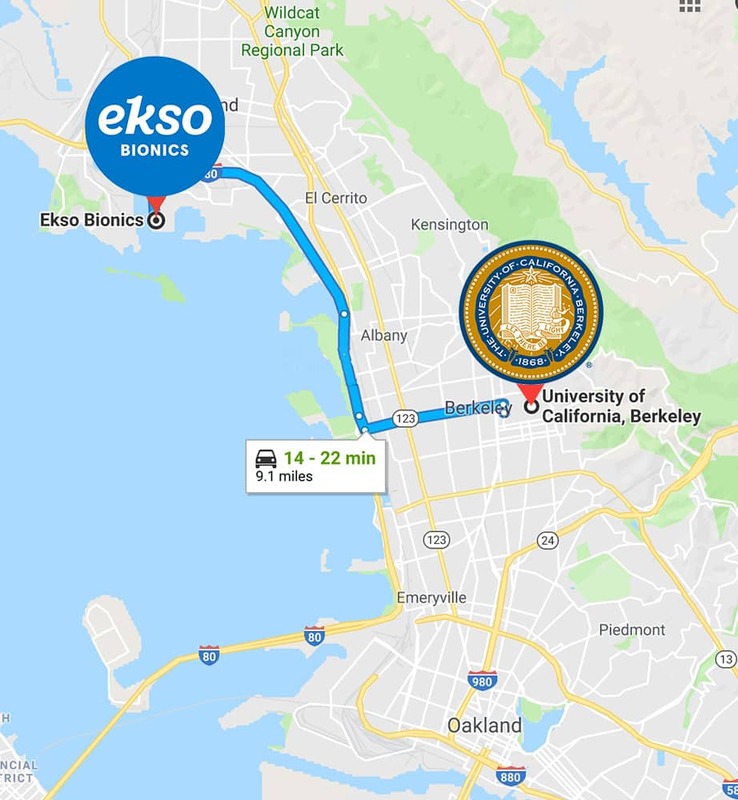 Join us on a road trip around the bay and discover all of the research and development in the exo field that is concentrated within one giant circle. 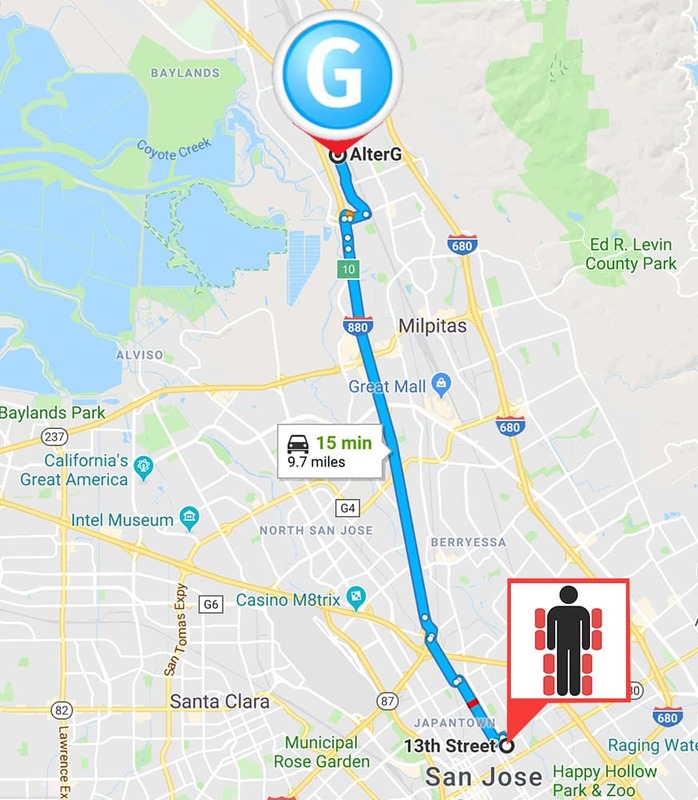 Moving northward from the current Exoskeleton Report headquarters in downtown San Jose, AlterG is the first exoskeleton developer just a mere 9.7 miles away (15.6km). (That is only a 15 minutes drive without traffic, but these days, there is always traffic). You might know AlterG as the maker of the Anti-Gravity Treadmills that have proven successful in getting athletes back in the game faster after a leg injury. AlterG, however, also has the ALTER® BIONIC LEG™ Wearable Robotic Walking Device For PT & Mobility Training. Essentially, it is a powered knee exoskeleton that has all of the batteries and controllers unified in the wearable robot. For more visit the AlterG Bionic Leg website. Traveling another 35 miles north will take you to the medical and industrial exoskeleton powerhouse of suitX. This company focuses on reducing the cost of medical gait rehabilitation exoskeletons by reducing the number of powered motors and utilizing simpler construction materials. In addition, the company has not one, not two but three passive exoskeletons for work and industry. 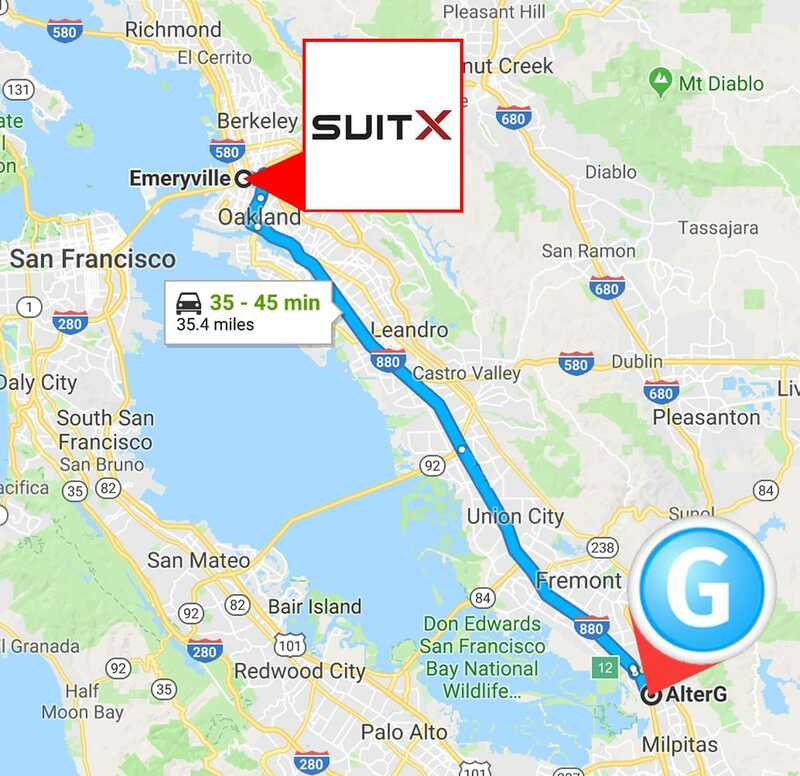 suitX is a spin-off of UC Berkeley’s Robotics and Human Engineering Laboratory, also known as the Kaz Lab, which is just a stone throw away on the north side of the UC campus. Over the years the Kaz Lab has worked on lower powered exoskeleton projects like the BLEEX (Berkeley Lower Extremity Exoskeleton), ExoHiker, ExoClimber, and the HULC (Human Universal Load Carrier). The lab led by Professor Kazerooni has spawned off not only suitX but Ekso Bionics as well. The Kaz Lab is not the only exoskeleton lab at UC Berkeley. The winner of the first WearRAcon Innovation Challenge, the HART lab is also located on campus. The Human-Assistive Robotic Technologies Lab focuses on evaluating robotics and wearable robotics devices. 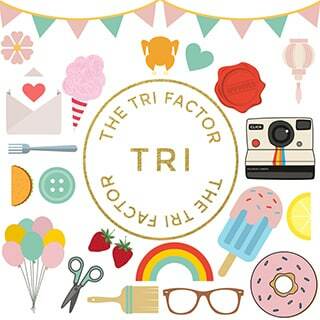 For more, take a look at their website. Just nine more miles to the North East is the exoskeleton developer juggernaut, Ekso Bionics. One of the oldest commercial exo companies in the world, Ekso Bionics has worked on military, medical, and industrial wearables through its 13 years of commercial history. 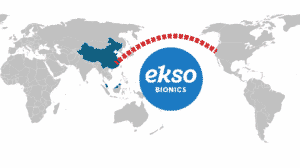 Just like UC Berkeley spawned off Ekso Bionics, an Ekso Bionics employee started Roam Robotics. Located less than 18 miles to the southwest in San Francisco. 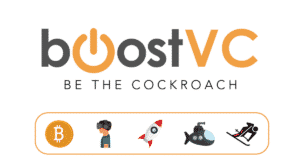 Unlike all of the other companies until now, Roam Robotics does not specialize in exoskeletons but in exosuits. The company focuses on inflatable wearables that are made out of soft materials that can be inflated and deflated on command. Most recently, Roam Robotics has worked on a commercial exoskeleton for skiing: The Allure of Ski Exoskeletons. 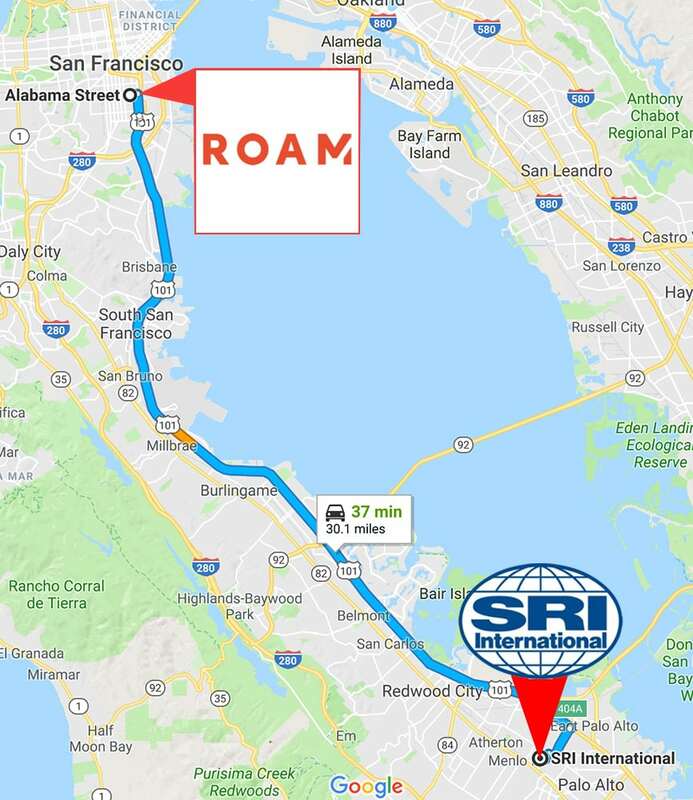 Another 30 miles south from San Francisco is SRI International. 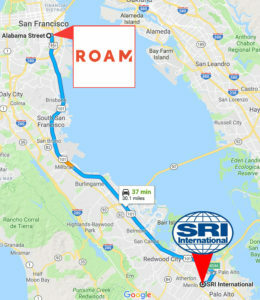 Under the technical leadership of Roy Kornbluh and Alexander Kernbaum, SRI has done much to contribute to the exoskeleton industry. Projects include new harmonic drives for more efficient power transmission, new linear actuators for wearables, novel strap materials, and electrostatic materials that can change their flexibility by having just a slight amount of electric current. SRI has also worked on dynamic walking robots, a technology that if perfected, can greatly reduce the amount of energy required to run exoskeletons and walking machines. SRI is also the creator of the Superflex exosuit (not the only exoskeleton the company has worked on). Superflex has spun-off into its own incognito spin-off startup. Their main focus is the development of soft exosuits or powered clothing for the elderly that can help with sit-to-stand and climbing stairs. Both can be significant limiting factors to independent living. Just two miles from SRI International is Stanford University which has recently attracted Professor Steven Collins. Professor Collins brings a great deal of knowledge on rapid prototyping of exoskeletons and powered prosthetics and novel control algorithms. He is a phenomenal addition to the Stanford Bio-X lab, an interdisciplinary institute that aims to uncover the secrets of the human body. 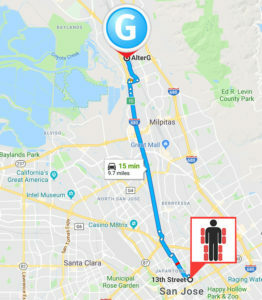 Finally, 18.6 miles east will complete the full circle and bring you back to the Exoskeleton Report (ExR) in San Jose. ExR is not an exoskeleton developer, but an independent news and media outlet for the exoskeleton industry. ExR’s aim is to deliver objective, hype-free media content under one roof that can assist evaluators, regulators, and consumers in discovering the potential and limitations of exoskeleton technology. 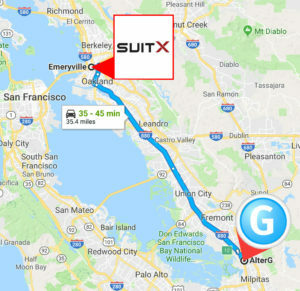 With two major universities, one research institute, and six exoskeleton developers, all within one 124 mile loop (132 if you take the scenic route) the San Francisco Bay Area is becoming a hub for exoskeleton and exosuit technology. However, the proximity of these many organizations alone does not make them a technology hub. While there have been some collaborations in the past (mostly involving SRI), most developers continue to prefer to work independently. 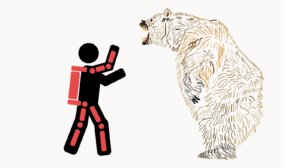 Just like the SF Bay Area became the world center for software and personal computers, it has all of the ingredients it needs to become the leading place in the world for exoskeleton development as well, but that hasn’t happened quite yet. Very interesting place to be! Very expensive, but it is interesting!